The medicane or tropical-like cyclone that affected the central Mediterranean, Greece and Turkey over the weekend will certainly go down in history as one of the most extensively covered ones. 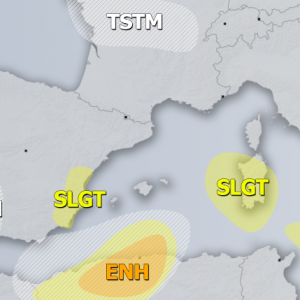 The system brought extensive severe weather conditions to southern Greece and western Turkey, producing torrential rainfall and destructive flash floods. 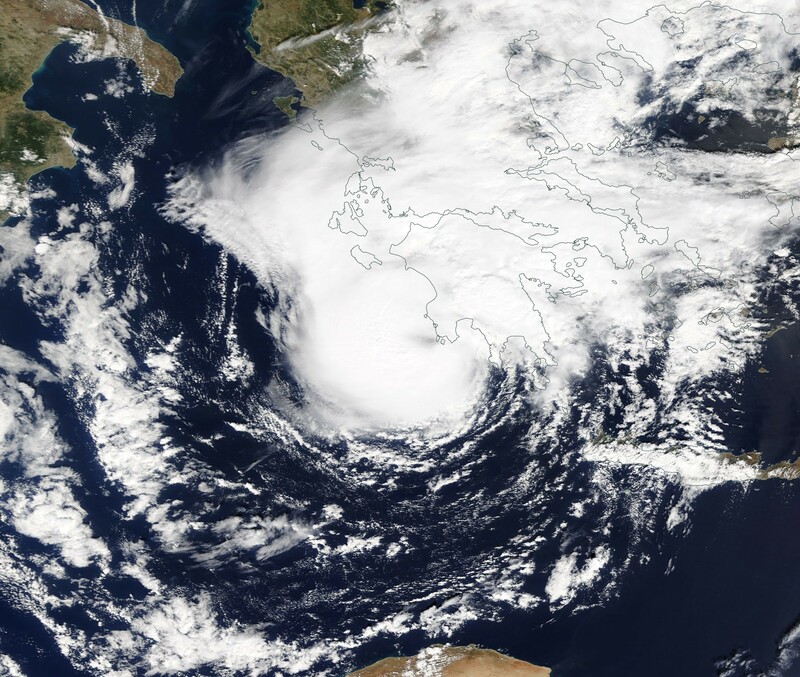 Intense winds and large waves also produced damage along parts of the western coast of Greece. We take a closer look at this system. Medicanes or tropical-like cyclones produce more or less distinct tropical characteristics, with a warm core, distinct eye and eyewall and spiral cloud structure. 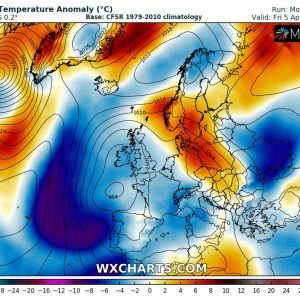 After rapid deepening just off the coast of Libya late on Thursday and early on Friday, the system shed much of its frontal structure, with the detached cold front racing eastward across Crete. The impressively sharp dry intrusion could be tracked for much of Friday, before the system began developing distinct tropical structure, with deep convection taking on a distinct comma shape before closing the eyewall by Saturday morning. At that time the system presented the most tropical appearance. It quickly lost structure as it made landfall just west of Kalamata on the Peloponnese peninsula around midday and never fully recovered it. Midday (local time) visible satellite image on Saturday, September 29, 2018 by NASA Terra satellite, MODIS instrument. The medicane displays vigorous convection with a nearly complete eyewall, a distinct eyewall and some dense cirrus overcast. Image: NASA Worldview. A minimum pressure of 989.3 mbar was recorded in Kalamata. 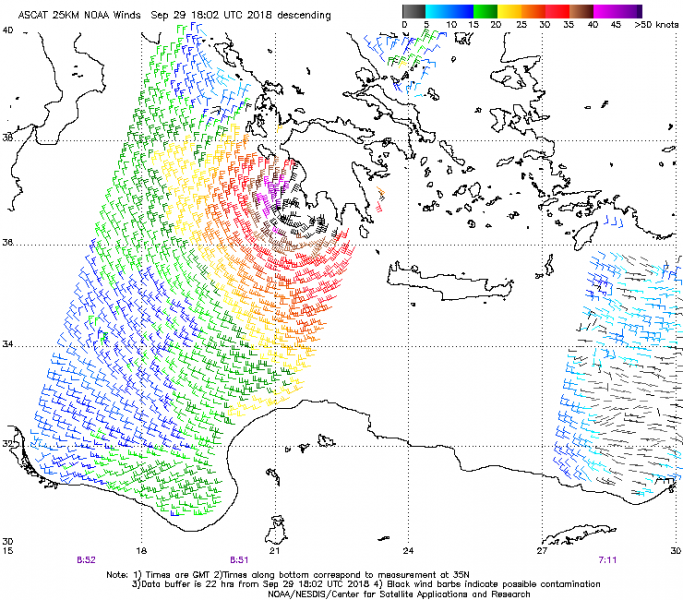 Peak wind gusts of 105 km/h were recorded by a private weather station in Voutsaras. Peak sustained winds of up to at least 50 kt ( = 93 km/h), gusts certainly >100 km/h were recorded in 8:51 UTC overpass (just before landfall) ASCAT data from METOP-A satellite. 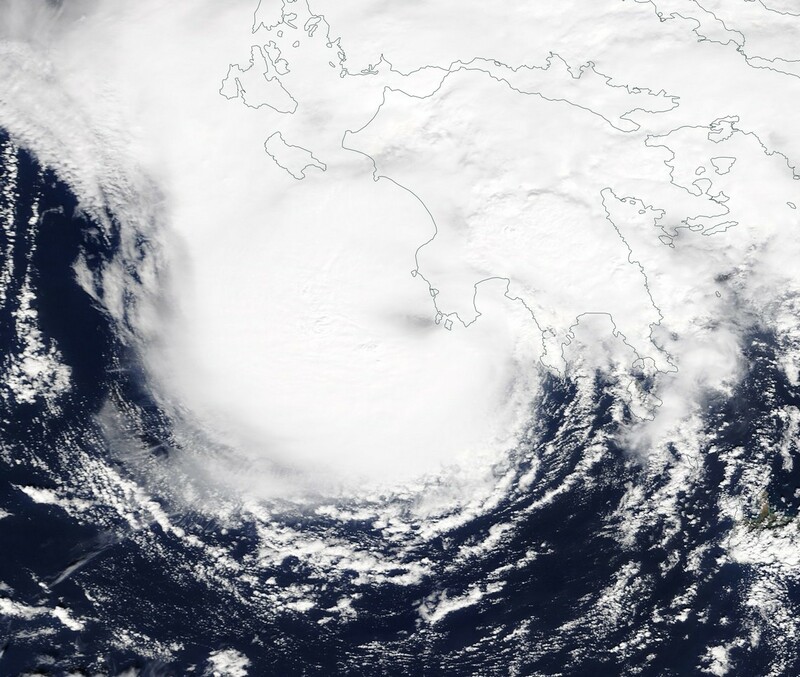 Major storm surge, on the order of ~1-1.5 m and major waves hit the western coast of Peloponnese. The complex shoreline and terrain locally strongly varied wave height. 8:51 UTC overpass (just before landfall) ASCAT data from METOP-A satellite. Data: NOAA / NESDIS / Center for Satellite Applications and Research. 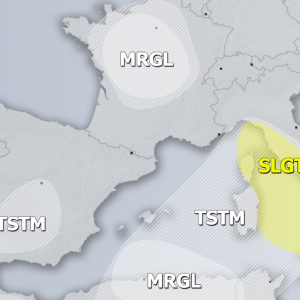 Torrential rainfall with 24 hour cumulatives of over 200 mm were recorded across a number of locations in the Peloponnese peninsula and in Central Greece. Major flash flooding was reported at numerous locations on Saturday and Sunday. Major flash flood also hit the Marmara region of western Turkey late on Sunday. 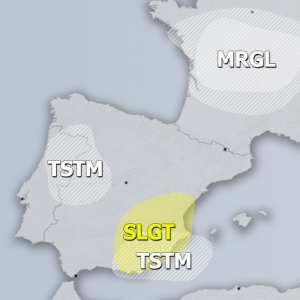 Several waterspout / tornadoes were also reported: tornadic supercells were expected in the outer bands of the medicane, where moderate instability overlapped with a strongly sheared environment with favourable storm-relative helicity. A damaging tornado was reported in Askeli, Poros, eastern Peloponnese.